Google AdWords Editor is a free, downloadable application for managing your AdWords advertising campaigns. The program can help you save time and make it easier to make changes in bulk. Use it to download your account, update your campaigns with powerful editing tools, then upload your changes to AdWords. Google AdWords Editor enables you to add and edit bid strategies for campaigns, ad groups, and keywords. Manual CPC bidding: Available at the campaign, ad group, or keyword level. Manual CPM bidding: Available at the campaign level for Display Network only campaigns. Manual CPV bidding: Available at the campaign level for video campaigns. Target CPA bidding: Available at the campaign level. Maximum conversions bidding: Available at the campaign level for Search Network campaigns. 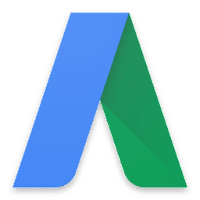 Any advertiser with any size account can use Google's AdWords tool, but it's especially useful for accounts with multiple campaigns and long lists of keywords or ads. Windows Vista users: Depending on your computer's settings, an error may occur when you install AdWords Editor. To prevent the error, follow these instructions. Note: AdWords Editor requires Google account. Arabic, Bulgarian, Catalan, Chinese (Simplified, Traditional), Croatian, Czech, Danish, Dutch, English (Australia, U.K., U.S.), Estonian, Filipino, Finnish, French, German, Greek, Hebrew, Hindi, Hungarian, Indonesian, Italian, Japanese, Korean, Latvian, Lithuanian, Norwegian, Polish, Portuguese (Brazil, Portugal), Romanian, Russian, Serbian, Slovak, Slovenian, Spanish (Spain, Latin America), Swedish, Thai, Turkish, Ukranian, Vietnamese. Version 12 features a new design and includes several updates, including support for custom rules, faster version downloads, and maximum conversions biddings. Disclaimer: Direct downloads for the lastest version of Google AdWords Editor 12.0.3 are provided by the official software's author, we can't guarantee safety, availability or download speed. Moreover, we don't and we won't provide any pirated/illegal versions or tools. We recommend you to avoid it as these methods can harm your device. If you like the software, buy it to support the developers. (We provide software discounts for many worldwide brands).